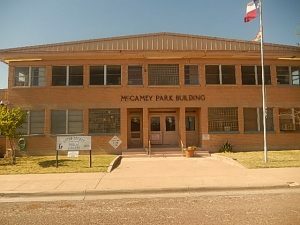 McCamey, TX (September 5, 2018) – In February of this year, the Upton County Broadband Committee released its Technology Action Plan. It took six months of work to develop. Once complete it provided a comprehensive look at broadband and its related technologies across the county—including in McCamey, Texas. 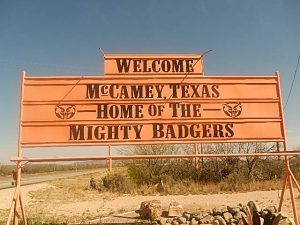 McCamey is one of more than 300 communities across the country that has leveraged CN’s Connected Community Engagement Program (ConnectedSM). The program provides structured and comprehensive analysis of broadband landscape to develop community-specific Technology Action Plans. For McCamey, the results were almost instantaneous. That man was Clayton Walker, who then bought a local cable/internet company that was going-out-of-business—changing the name to C&J Cable, LLC. He moved the business into McCamey’s incubator offices and began working to upgrade the internet and cable systems across the area. It’s an important shift for the entire county of Upton. Especially when you consider the importance of broadband access, adoption, and use for not only residents but also business owners in the rural West Texas county. Among other findings revealed in the final Technology Action Plan,100% of agriculture operations are using social media weekly for their businesses; 26% of residents regularly telework; and 12% of adults use the library to access the internet. To learn more about the Connected Community Engagement Program head to www.connectmycommunity.org.